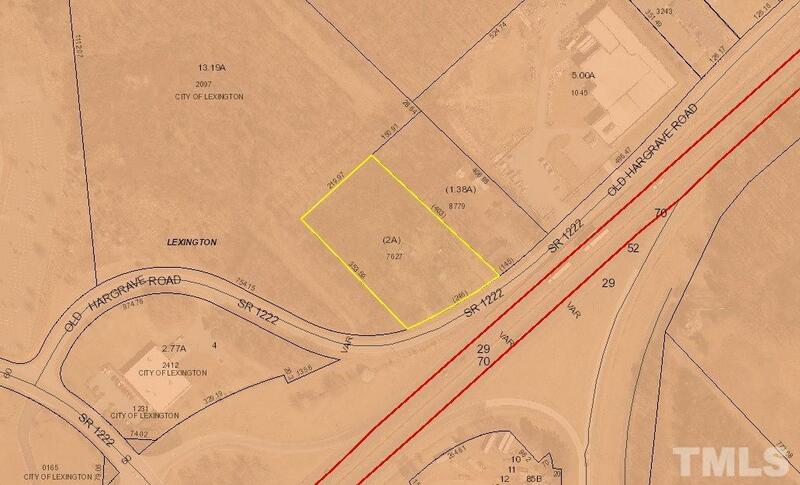 2 acre tract at Lexington Airport exit commercial area right off I-85 Bus and beside exit. Great opportunity for food, gas, and much more. Great visibility, immediately off of Business I-85 at exit 84. Home and garage at no value. More land is possible. Not many opportunities to get this much visibility with these high traffic counts. LOTS of commercial development around this exit & this is the only corner available right off the exit.Build/Start your business here. City limits so public water & sewer.